Oliver Hinckley, born in 1792, was an apprentice to the Crosby brothers. He took over the shipyard at the foot of Bay Street, probably in 1816-1818. Following the Crosby brothers, he continued to build coasting vessels in this yard until 1857. His last vessel, the “Leanara,” was reported lost in the early 1900s. This vessel was a packet between Boston and Hartford, Connecticut. Hinckley built at least 23 vessels. 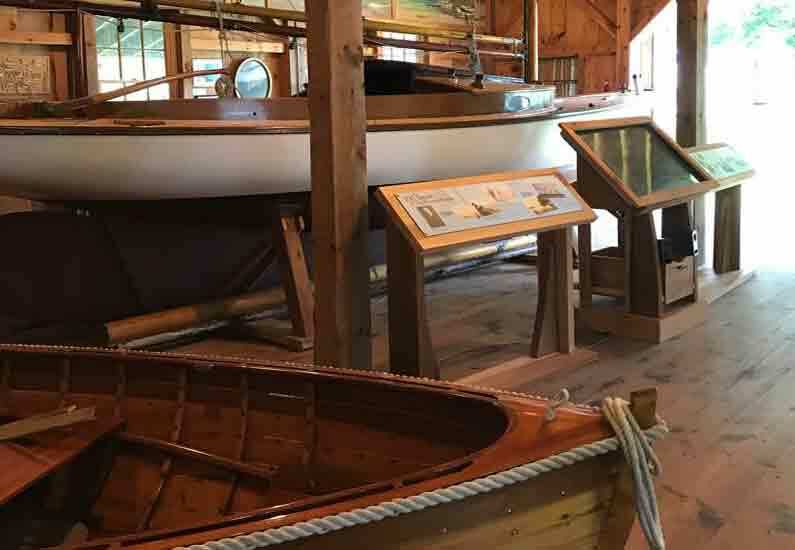 There was one sloop, the “Echo,” (for which the Osterville Historical Museum has a rare hawk’s nest model), nineteen schooners, and three brigs. 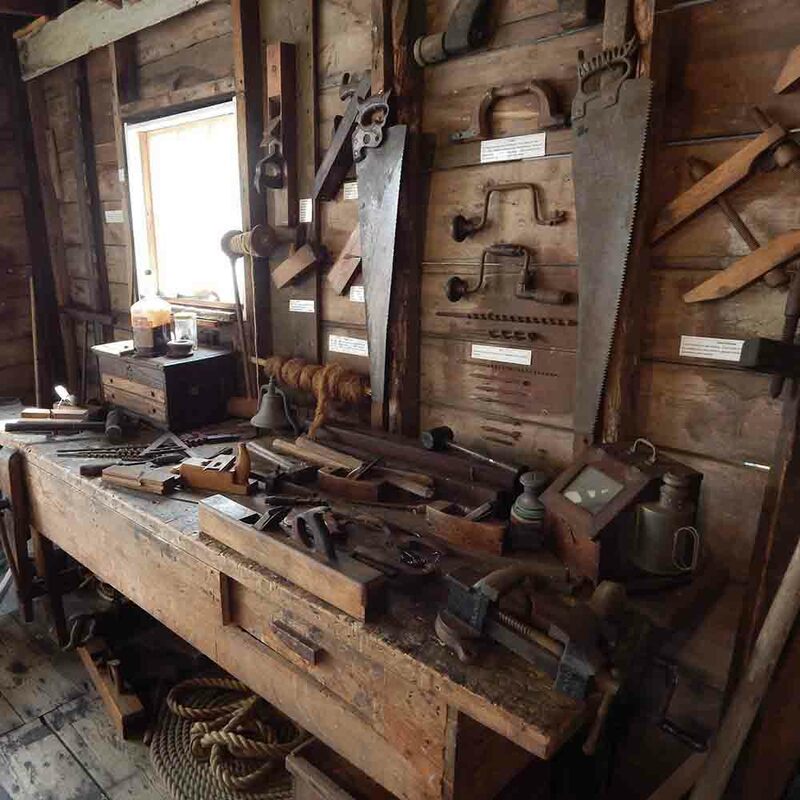 His schooner, “Page,” built in 1831, sailed down the coast of South America, around Cape Horn, and up to San Francisco where it worked as a lumber schooner into the early 1900s. He also built the “Spy,” a three-masted schooner, for Captain Jonathan Parker whose house the Museum now occupies. The logbook for the “Spy” can be seen in the Museum’s permanent collection. Brothers Daniel and Jesse Crosby, Jr., came to Osterville from Centerville in 1798 and leased sixteen rods of land on the shore of North Bay with the right to build a shop and dock. For this lease of sixty years they paid James Parker nine dollars. North Bay, at the foot of Bay Street, is quite deep and there is a channel running through North Bay and Cotuit Bay, and then out to Nantucket Sound. There would be no West Bay Cut in Osterville for another ninety years. The Crosby brothers must have built a number of vessels here, but we have a record of only one, the “Warrior.” The “Warrior” was a two-masted topsail schooner built in 1804 and lost on Block Island‘s north reef in 1834 during a violent storm. The “Warrior” was a “packet” running between Boston and New York on a more or less regular schedule as packets did, depending on the weather. A small number of coasting vessels were built by Seth Goodspeed in East Bay. His home is still standing and is located on the west side of East Bay, directly opposite the town landing. He built one of his vessels in his yard and then moved it to the bay. That was considered a remarkable feat at the time. By 1850, the need for coasting vessels declined. The last vessel built in the Hinckley yard was constructed in 1857. The yard, however, continued operating with marine work until the late 1860s. 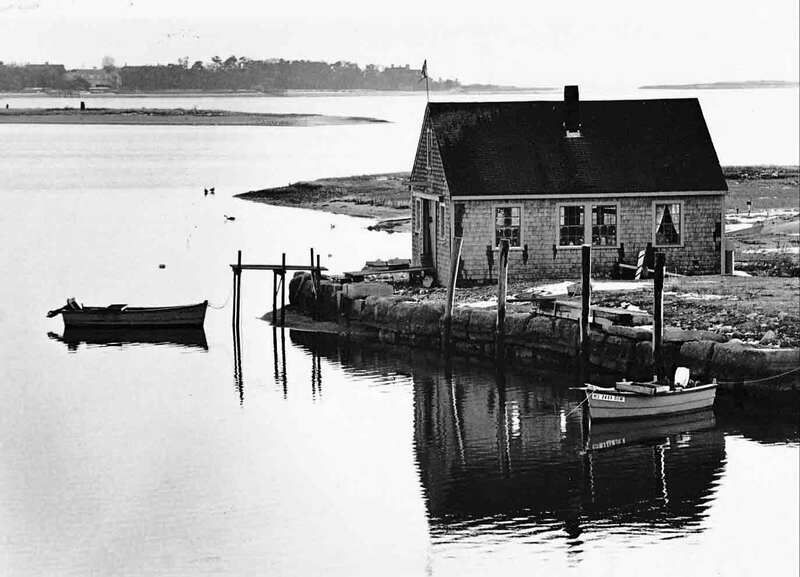 The descendants of Daniel and Jesse Crosby, Jr., built boat shops in several places around the bay. 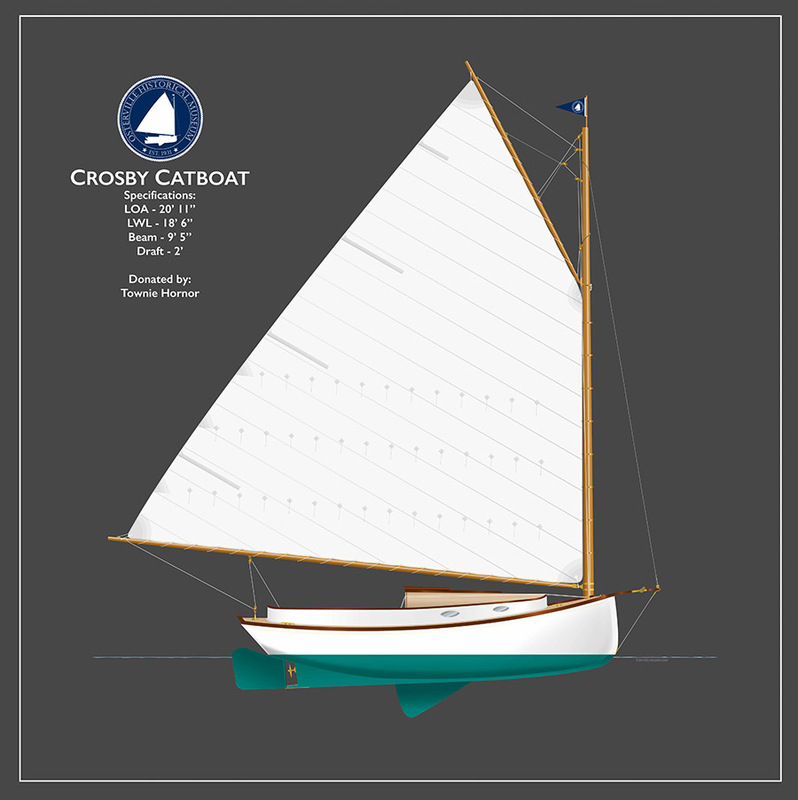 In 1850 the first Crosby Catboat was built, and its utilitarian design was quickly recognized. Since then the Crosby family built over 3,000 wooden catboats. As a matter of interest, after WW II the Crosby family at Crosby Yacht Building & Storage built 230 wooden boats of various designs before the business was sold in the late 1970s. Today, the art and craftsmanship of boatbuilding continues at Crosby Yacht Yard–located just down the road from the Museum. 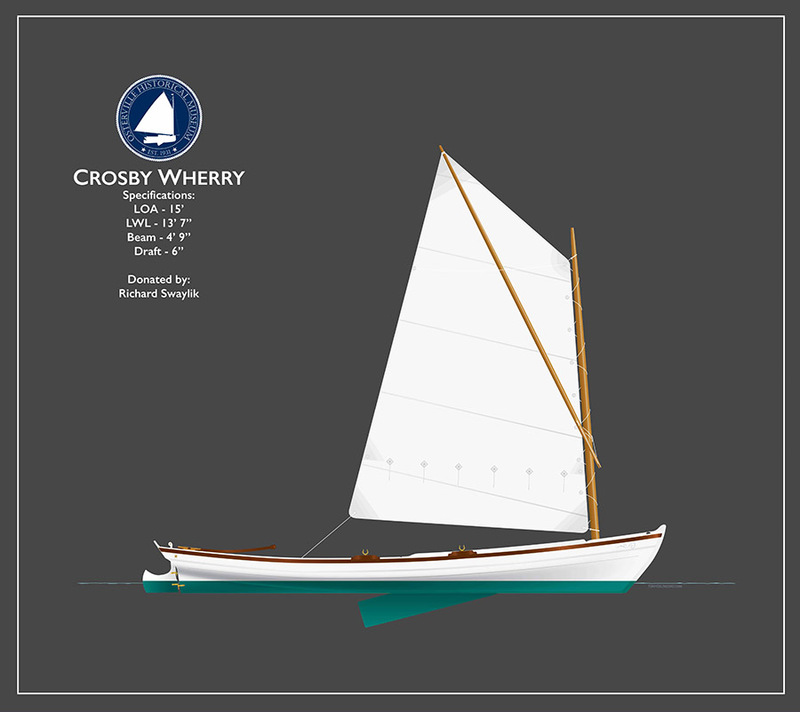 Likewise, Ned Crosby is a ninth-generation boatbuilder at E. M. Crosby Boatworks in West Barnstable. See these classics and more when you visit. 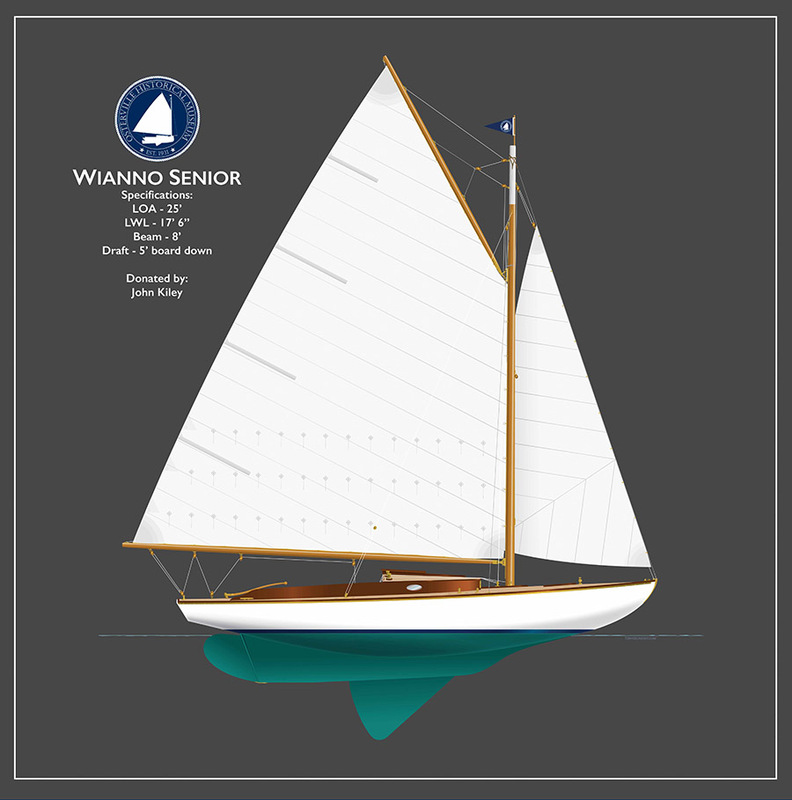 Except for catboats, the Wianno Seniors are the best-known Crosby sailboats. The Seniors are built for one-design racing, so they are constructed to be as nearly identical as possible. To achieve this, they are built around a frame or “mold” that is used over and over in building each hull.This differs from the method used in building cat boats, principally because the ribs or “timbers,” when they are steamed and flexible, are bent up, around, and clamped to the outside of the mold. The first Seniors were launched in 1914 and the Wianno Senior Class remains an active class–over one hundred years later. H. Manley Crosby, working with his brother, Wilton, and his cousin, Ralph, a marine architect, designed the Senior and is the “father” of the Seniors. 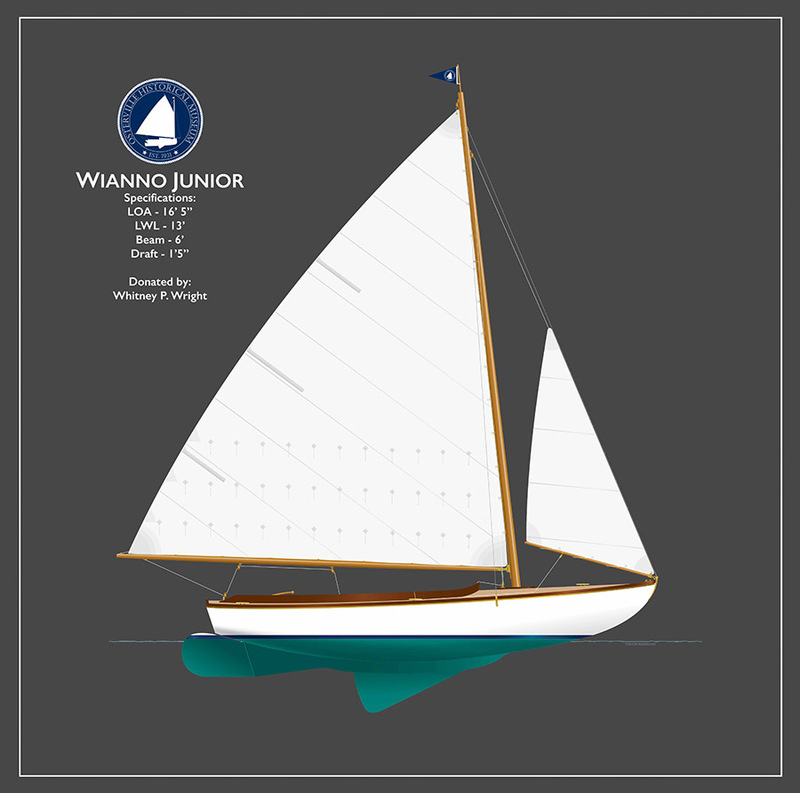 The Junior was launched in 1922 and was used by the local Wianno Yacht Club to train its younger members to race. It also helped the children to learn to sail before graduating to the larger Senior. 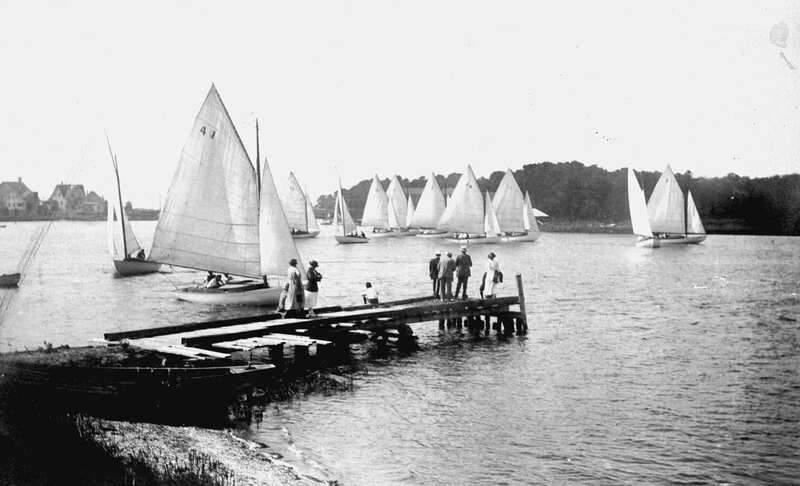 By 1941, 67 boats had been built and 46 of them were racing in Osterville. 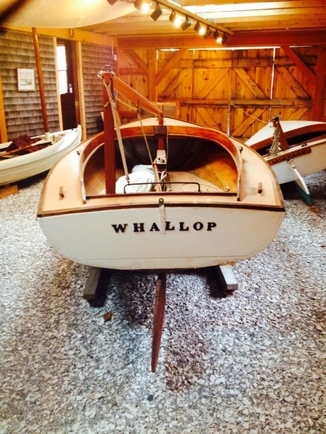 A few more were built after World War II, including our boat, “Whallop,” #77. She is probably the last, built in 1961 and sailed from Hyannisport. 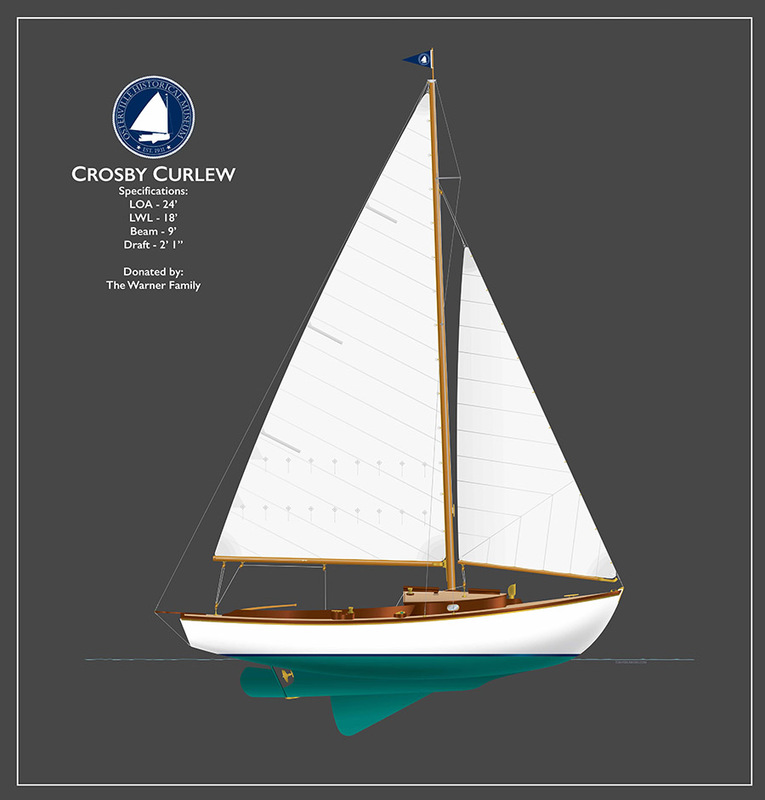 The Crosby Curlew is a twenty-three foot sloop for day sailing and overnight cruising. She was designed by William Daniel Knott, a well-known local marine surveyor and designer. Six boats were built in the 1960s by the Chester A. Crosby and Sons Boat Yard. Our Crosby Curlew was donated by former Senator John Warner. IDA often was seen sailing the bays with Senator Warner and his then-wife Elizabeth Taylor. The oldest of our catboats was designed and built by Horace Manley Crosby in 1922 for Robert Roloson. 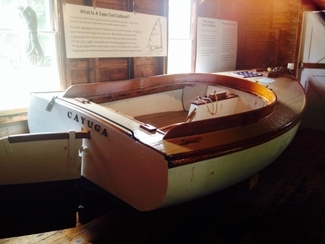 The “Cayuga” is a typical Crosby catboat. It has a massive centerboard, a tiller, a square stern and a “barn door” rudder. 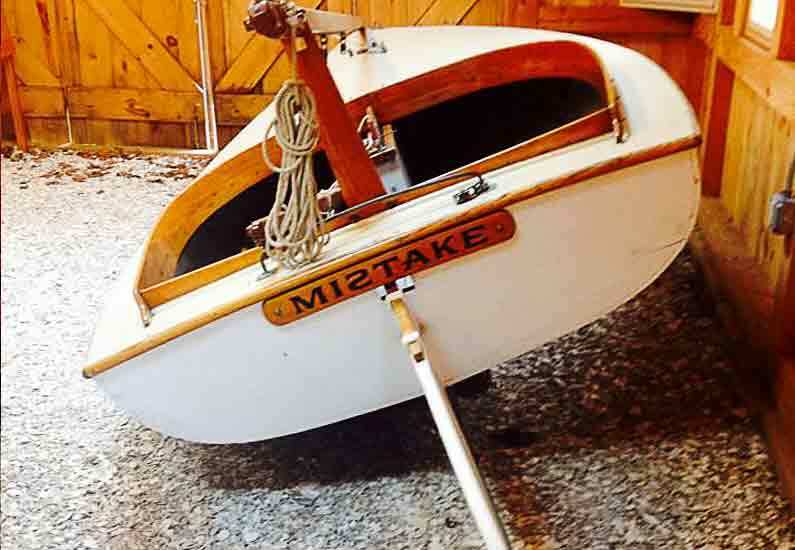 This sturdy boat was built for recreation and is unique in that it has a deck of painted teak. Almost all Crosby boats have decks of painted canvas which is easy to maintain and provides good footing when wet. The “Li’l Jen” is a wherry, an old design for rowing that was sometimes sailed. It is a European type that goes back to the 17th century. 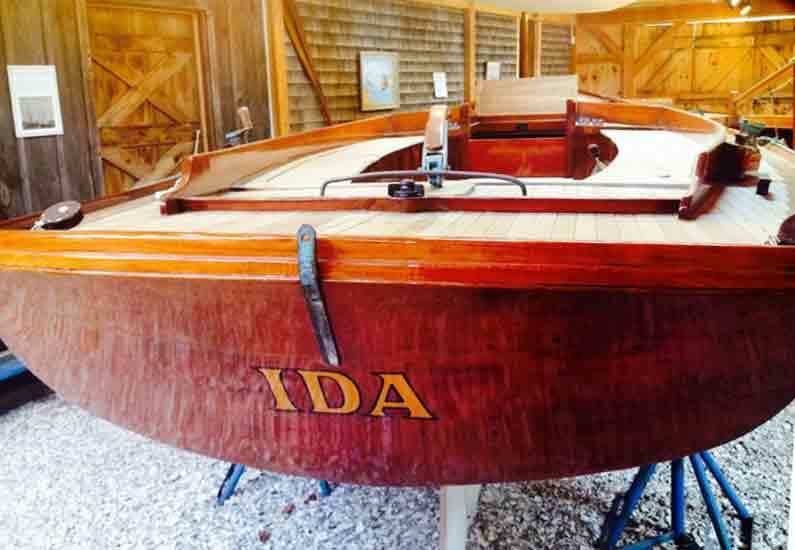 Pete Culler, a well-known Cape Cod builder who worked for Concordia Yacht Builders in the Padanarum village of South Dartmouth, Massachusetts, designed this boat. 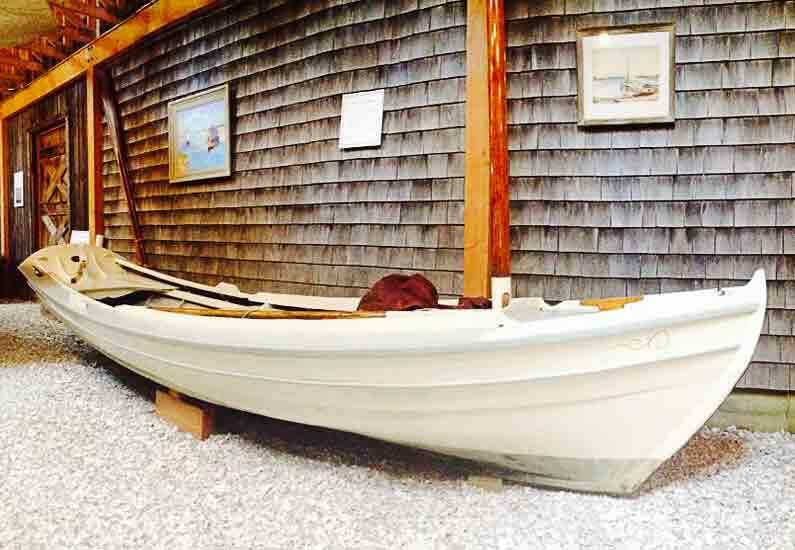 Eddie Crosby, of the Chester A. Crosby and Sons Boat Yard in Osterville, built the “Li’l Jen” in 1969 for his family. 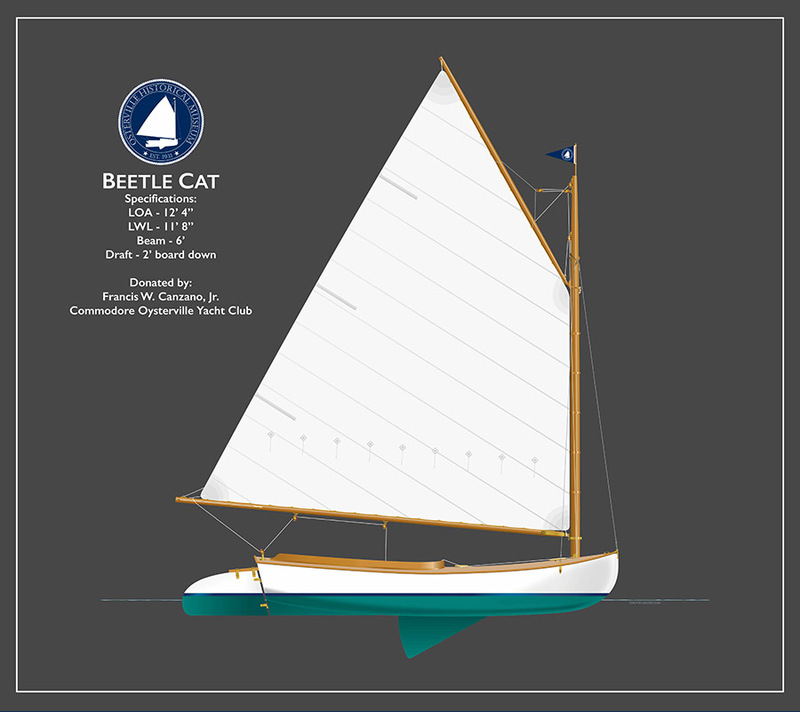 The Beetle Cat are still used today for children in the Wianno Yacht Club Youth Sailing Program and was a mainstay there for many years. 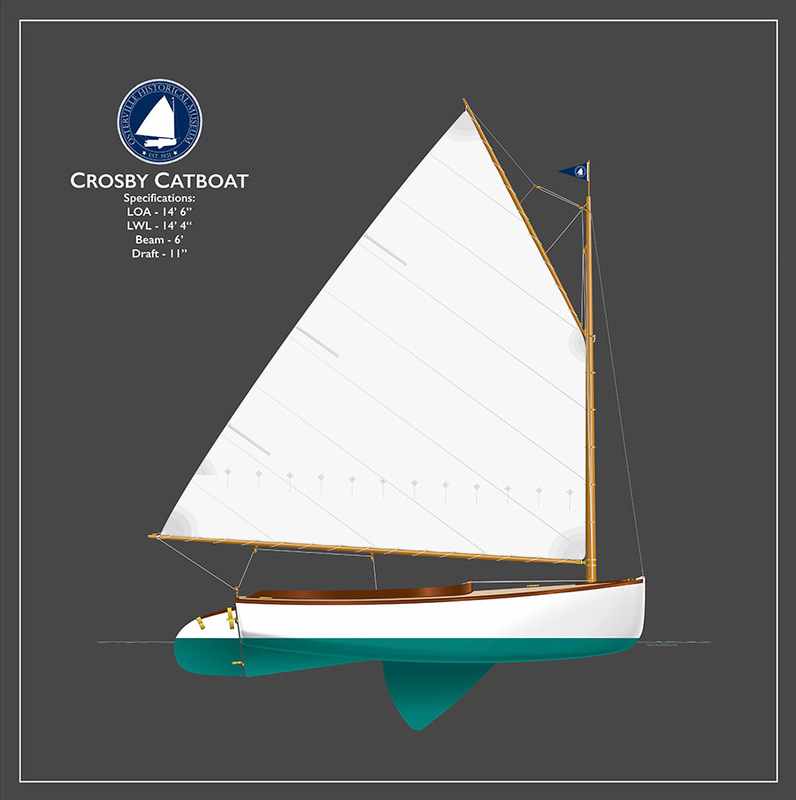 The Beetle Class was designed in 1920 and first set sail in 1921. Our 1970s beetlecat was owned and donated in 2008 by Commodore Francis W. Canzano, Commodore of the Oysterville Yacht Club. The design and production started with the Beetle Family Yard in New Bedford. The Beetles were famous for building outstanding whaleboats that supplied the New Bedford whaling fleet for many years. When commercial whaling began to fade, the Beetles decided to build boats for recreation.